Earlier this week, we came across Niamh in a beautiful serendipitous moment. 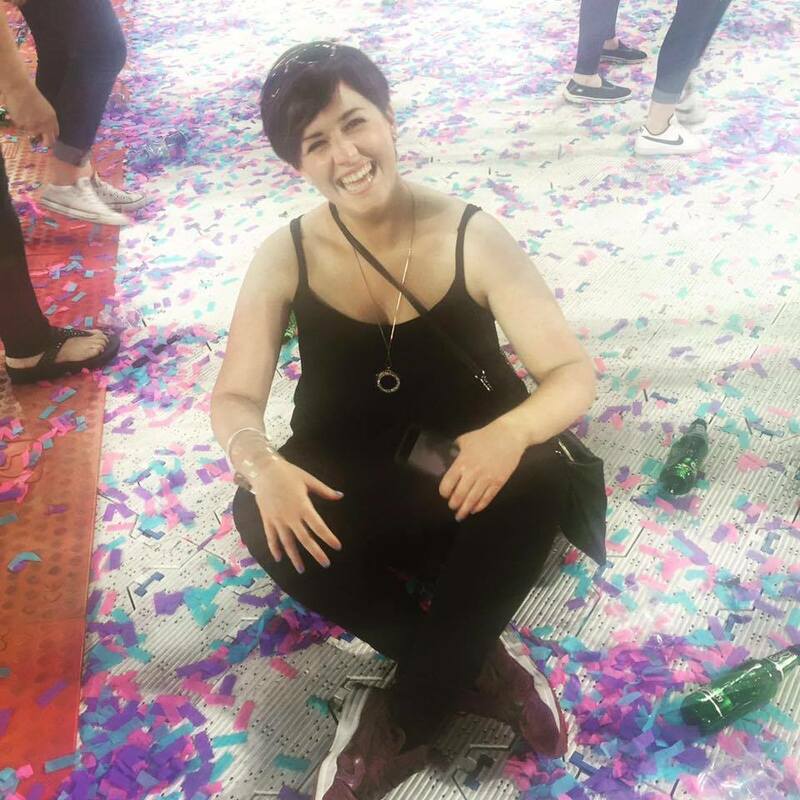 Aged 19, Niamh was diagnosed with the same condition (auto immune encephalitis and an acquired Brain Injury) as Shona, same hospital, same doctor, same story. Just like Shona, Niamh’s life hung in the balance for some time, but, thankfully, she survived, and fought her way back. Niamh is now part of our community, which is a beautiful thing. Here’s her story…. When I hear stories about that part of my life, sometimes I have to remind myself that the story I’m hearing is about me. Like when my Mam laughs about the fact I had an American accent after it all. Or how I’d often get ice cream as a dessert in hospital and one day I just scooped it out and lathered it all over my hands, like it was a luxurious hand cream. Or the days I would get out of my bed in Beaumont, get my Dunnes Stores bag out of my wardrobe and start packing all my bits and try to make my way to the nearest exit, in an effort to make my way back home to Laois. I mean, it’s easy to hear those stories and smile fondly. They’re kind of funny in a way. 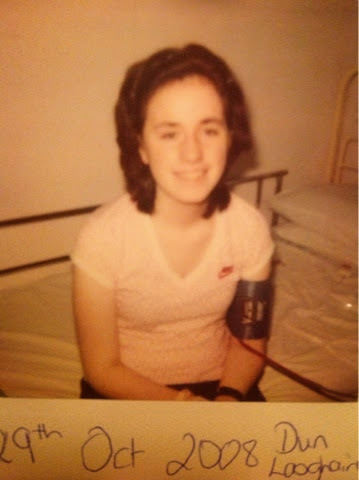 Then there’s the stories of the hospital bed shaking from the constant seizures, the paranoia, the fear of hospital showers, constantly pulling at wires and food tubes, the aggressive behaviour, the beep of the life support machine. I hear these stories and my heart breaks for that person; that stranger. There are only a few moments in my life when it hits me that I was that person. When it hits, it hits hard and I experience a rush of emotion. But so often I can’t seem to connect that person to me. Maybe it’s because I have absolutely no memory of it. Most of the stories I tell about that time, I’m just retelling a story my Mam or Dad told me. You see, I have been living with an acquired brain injury for 9 years. The first signs showed in July 2008, when I was just going on 19 years old. All those horrible and wonderful stories were the result of a rare auto-immune condition. In the simplest terms, my blood and my brain no longer wanted to be friends so they became enemies. My blood launched an attack on my brain and understandably my brain didn’t suspect a thing and wasn’t ready to fight. What resulted was an attack travelling through my brain, taking something more from me as it moved; my co-ordination, my ability to walk, my ability to speak and write, my ability to control my actions, my body’s ability to do normal things like breathing on its own, my memories, even my sanity. For a few dark weeks, it looked like it was the end of my story. There were so many questions, so many worries, some misdiagnosis, lots of failed drugs and allergic reactions but I had a dedicated medical team who never stopped trying to solve the mystery before them and to bring me back. And they did. At this point, they were all out of options. They had one more choice, so they treated me, brought me back to life and the official diagnosis came almost two months later. I had my life back. I was breathing alone again, I could use the bathroom by myself, I could walk. But so much of me was missing. Brain injury doesn’t pop by just to say hi, and then leave you just as you were when it’s done. Firstly, I was one of the lucky ones. I got to see life after brain injury. There are so many people who will never be able to say that. If I were to explain it, I would say brain injury takes every thing you are and sort of flips it upside down and stirs it around a bit. I was left as a 4 year old in a 19 year old’s body. I couldn’t think for myself, I couldn’t form a full sentence and I felt completely overwhelmed by the world around me. I had to learn to live again. I went through intensive rehabilitation in the National Rehabilitation Hospital in Dun Laoghaire. With their help I was on the road to putting myself back together again. It was a long, painful, scary and rewarding road. That part of my life has taught me so much. I was given a second chance at this life. Now, I value my voice so much because I didn’t have it for so long. It has taught me to always take the kind approach, with others and myself. It has taught me that sometimes plans don’t work out and that’s exactly how it should be. It has made every achievement since then shine brighter. I am still learning from this part of my life 9 years on. It takes time, but I truly believe that if we can somehow wrap ours minds around some of our most difficult days they can be our best teachers.